IBM Watson for Oncology: What is it exactly? Watson is an IBM supercomputer named after Thomas J. Watson who led IBM into the computer era. It represents a fundamental shift in the paradigm of computing – moving from programmable systems which have been the mainstay for the last several decades to learning systems that keep getting smarter as they process more knowledge. IBM has a business unit dedicated to transforming healthcare into a quantifiable service where every bit of information is available. It is called Watson Health and offers services in Genomics, Drug Discovery, Oncology, Imaging etc. By using it, physicians only have to go through their personalized reports instead of reading through dozens of papers for every patient’s case. 2nd International Fellowship on Health Technology Assessment (HTA) from 31st March to 6th April,2013. Health Technology Assessment (HTA), as you may know, is a multi-disciplinary field of policy analysis that examines the medical, economic, social and ethical implications of the incremental value, diffusion and use of a medical technology in healthcare. 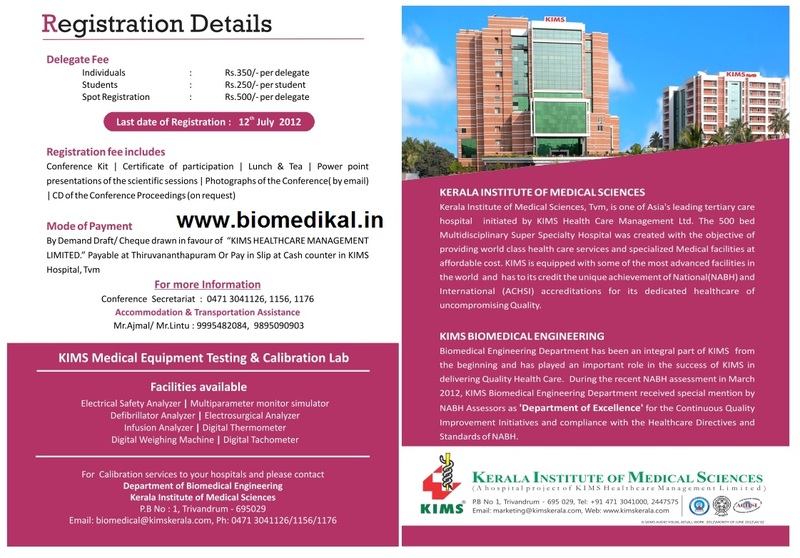 This program will be very helpful for the biomedical engineers also as it would help them to know about the scientific tools and techniques for technology assessment, legal and regulatory dimensions in use and uptake of health technologies, how to integrate medical technologies in healthcare institutions apart from understanding and assessing clinical epidemiology questions through systematic reviews and critical appraisal of clinical trials. Experienced international and national faculty have agreed to participate and share their expertise during this week long international fellowship program. 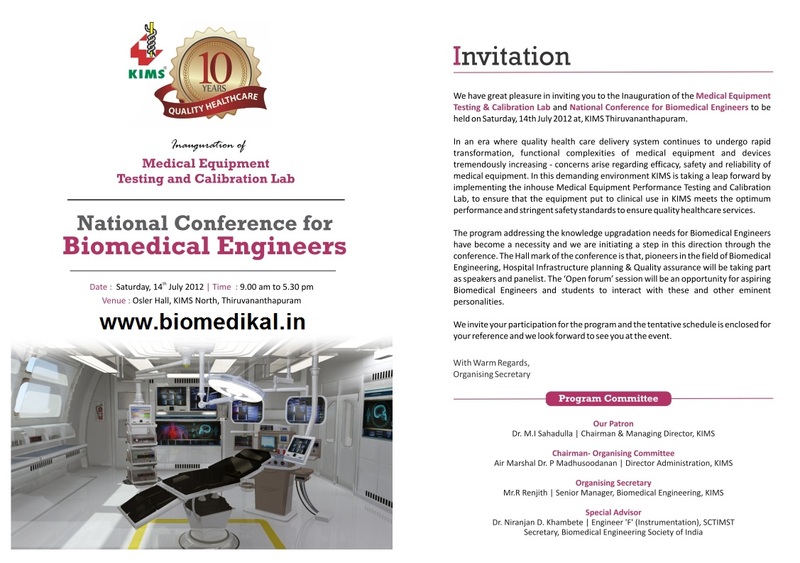 People from organizations like WHO Country Office for India, NHSRC, QCI are also coming for this fellowship program. IntechOpen also has a repository for Biomedical Engineering Books. HLL Lifecare, a Mini Ratna public sector undertaking in collaboration with the Indira Gandhi National Open University, (IGNOU), Ltd. is poised to make a foray into the arena of healthcare education. Two new courses in Clinical Engineering and Management were formally launched with the releasing of the prospectus to kick off the admissions, by Ghulam Nabi Azad, Union Minister for Health and Family Welfare in Delhi. HLL intends to train aspiring managers by launching new courses. 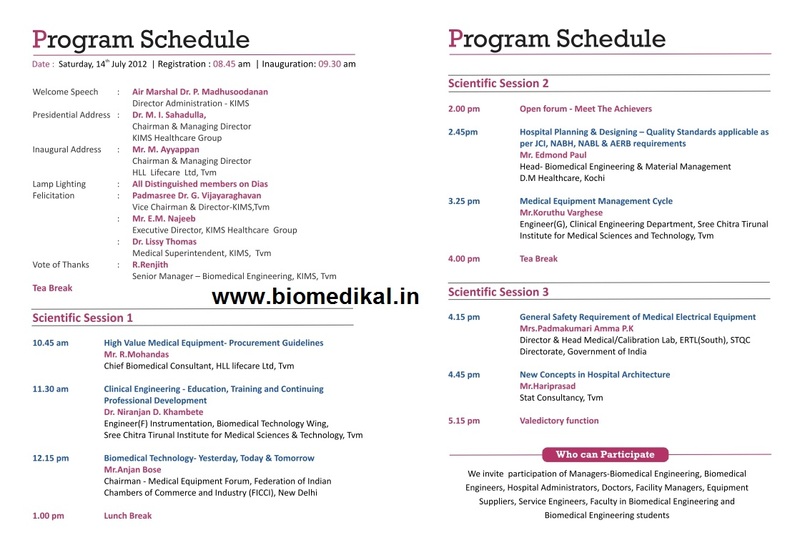 Two courses, Post Graduate Diploma Course in Clinical Engineering and Management (PGDCEM) and Post Diploma Course in Clinical Engineering and Management (PDCEM) will commence from January 2012 at the new wing named HLL Academy.